1. 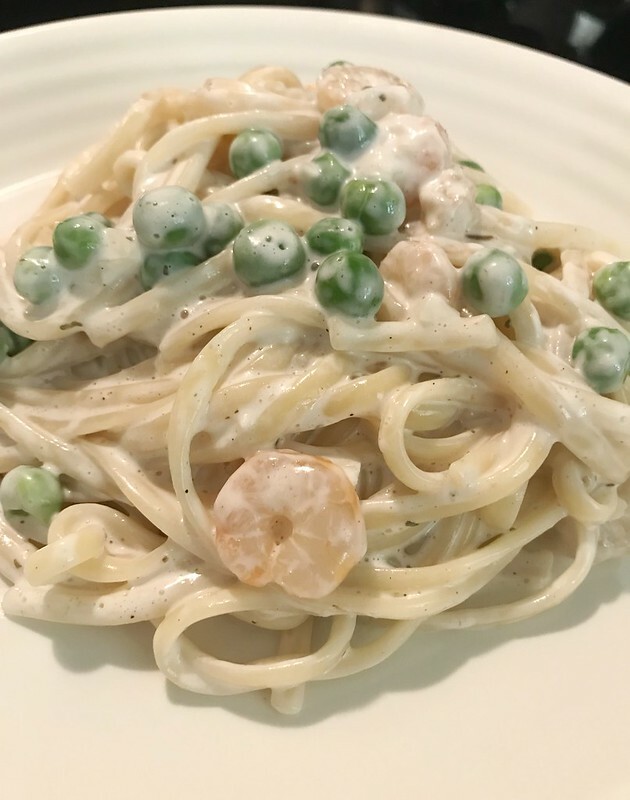 Thaw shrimps and green peas. And wipe them with kitchen towel. 2. Cook linguine follow the instructions on the package. 3. Heat a pan. Add in 1 tablespoon oil. 4. Add in shrimps. Stir fry till pinkish. 5. Add in 2 cloves minced garlic and green peas. Stir fry for another minute. 6. Cut in 1 tablespoon butter. 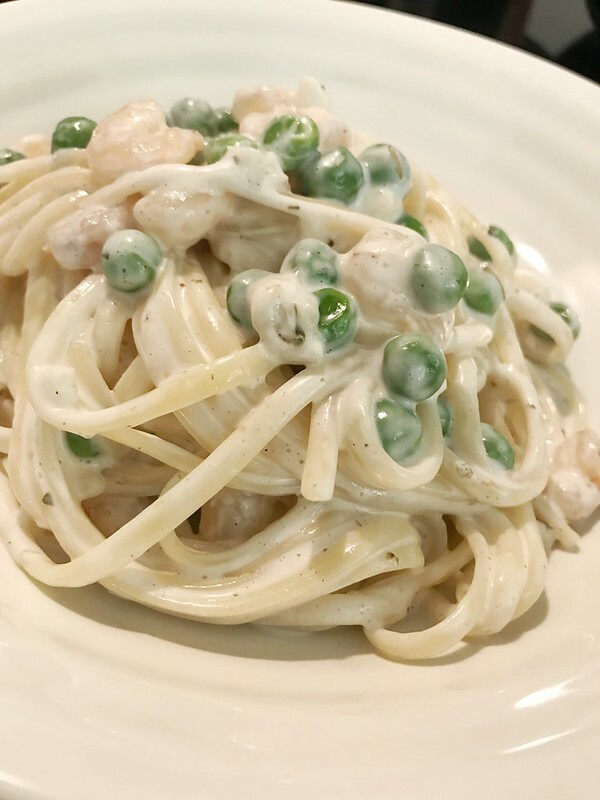 When it melts, pour in pasta cream. 7. Turn to low heat, season with salt and black pepper and keep stirring. Turn off the heat when the creamy sauce boils. Put linguine back into the pan. Add a little mixed herbs if you like. Give it a good mix. And ready to serve.